Natural water systems are one of our most valuable resources. Efforts to restore, protect, and maintain the county’s waterways are facilitated by the District’s Watershed Program. A watershed is defined by its topography and the water that drains collectively into its streams, creeks and rivers. 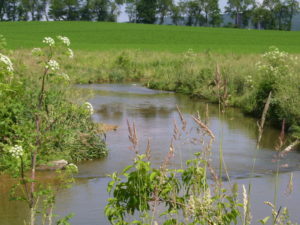 York County has five main watersheds – four of which flow into the Chesapeake Bay by way of the Susquehanna River. Because our watersheds drain into the Chesapeake Bay, our local activities affect its water quality. This unique relationship has a profound effect on how we conduct our watershed program. The York County Conservation District’s Watershed Specialist conducts stream assessments, and develops work plans & strategies with land owners to preserve the natural water cycle in York County – doing our part to protect the Bay. 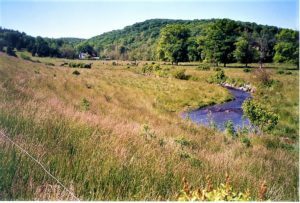 Additionally, the watershed specialist coordinates and nurtures relationships among watershed organizations throughout our county and Northern Maryland. With your help, these cooperative efforts to promote watershed stewardship will ensure our water quality, the quality of the Bay, and the vital plant & animal habitats we all share. Below for your information and use is a listing of watershed programs organizations, and other resources.